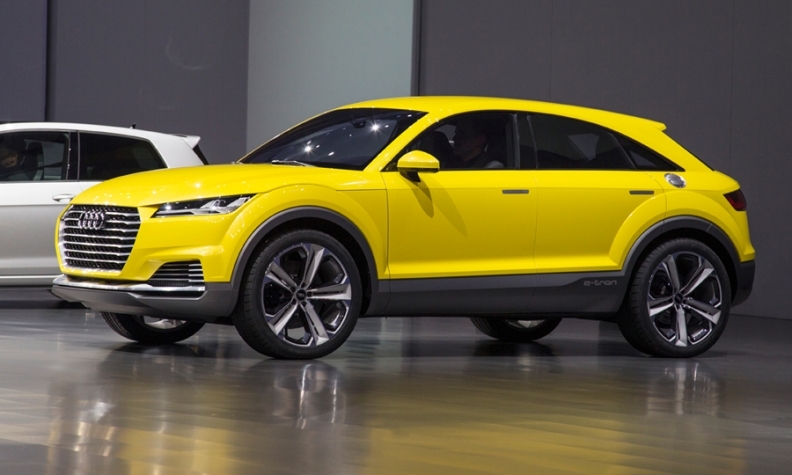 The Q4 SUV will likely resemble the Audi TT offroad concept, pictured, unveiled at the Beijing auto show in 2014. FRANKFURT -- The launches of Audi's new A3 and Q4 models have been delayed because the brand's engineers are busy updating vehicles fitted with manipulated software, a German magazine reported. "We are behind in time planning with the next stage of vehicles to be based on the MQB architecture," auto motor und sport quoted a company source as saying. The new-generation A3 compact car will be ready at the end of 2019 and the Q4, the latest addition to the brand's SUV lineup, will not arrive until 2021, the report said. Audi did not confirm or deny the report. "We do not comment on speculation about future models and their launch dates," an Audi spokesman told Automotive News Europe. The A3 and Q4 delays have arisen because Audi plans to offer the models with new gasoline and diesel powerplants that are behind schedule because engineers have had to focus on fixes for engines rigged as part of parent Volkswagen Group's diesel scandal, which affects 11 million cars globally. Audi aims to win new customers to the brand with Q4, which was previewed in concept form with the TT offroad concept at the 2014 Beijing auto show. The concept blended design features from the smaller Q3 crossover with the coupe form of the brand's TT sports car. The A3 is Audi's best-seller in Europe with sales of 146,828 in the EU and EFTA markets through September, down 4.3 percent, according to JATO Dynamics market researchers. Audi's development chief Stefan Knirsch left the automaker after a probe showed he was aware of diesel-engine manipulation at the company. Knirsch had replaced Ulrich Hackenberg, who was pushed out in a management purge after the scandal broke.